One of the big ones after Bersih, good! One of the cutest comic bloggers I've ever seen who ever opposed an act towards the parliament, good job Kendy! Yeah! 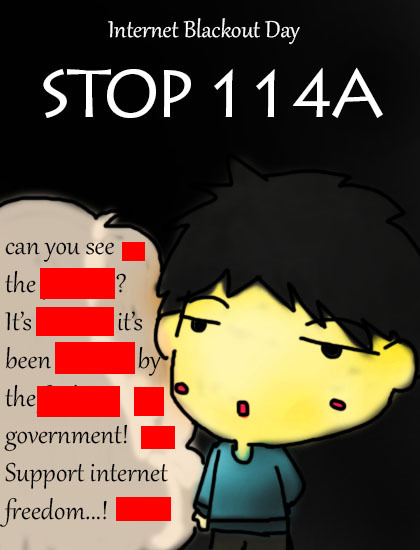 Say NO to 114A! I'll support with the Blackout Day. This is a way of showing Malaysian government that everybody needs freedom even with regards to the usage of the web.